I reach to the sky, and I am gnarled, sharp, and desperate. I reach and pray and wait. There’s only silence, quiet like a winter afternoon when the sun is blindingly eye level and the shadows are long and tortured. The light is there, but I still feel cold. I throw my mustard seed out the window and search for other things. I am starting to think the silence and the quiet is the answer. The stillness is my mustard seed; my chance to practice faith and trust. So I practice being still. I wait. I know. And it’s enough for me, in the waiting, to know. 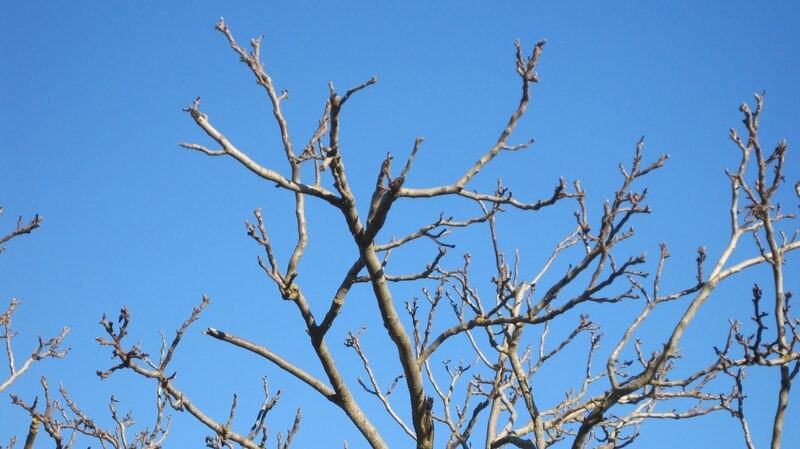 One day my gnarled branches will have leaves and produce. It just…might not be today. Today is for the knowing. Today is for the being still. For Lent, I’m giving up impatience. I want to be content to wait, bare branches exposed. I feel like you read where I am at and wrote a post about me – love how God is the same and unique to us all. I do lent every 30 days. Last month it was staying away from gossip and being more positive, this month it is giving up sugar. I should have given up impatience that's a hard one to do in the winter months. Goodluck. I am dying to read your Pausing Life Post! The quiet is the answer. I like this. I also tend to throw mustard seeds. Wishing you joy in the journey this Lent, my friend. “Today is for the being still.” This is beautimonious, J. “It just might not be today” is a hard place for me after a very, very long winter. (we're talking mini ice age) Impatience is an amazing thing to give up for Lent. This is so great! It reminds me so much of the silent retreat I just went on! You said it so much better than me!!! but really, the waiting is so hard and i always reference it, but the cs lewis quote about us being tied to time b/cs we're actually timeless beings caught up in timed bodies… it's the tension and the struggle here on earth since all things point towards are eternality. ahhh…. oh, to give up impatience, such a long-time friend of mine. 🙂 what a wonderful, inspirational thing! I love that you gave up impatience for Lent. That is really cool. I may steal that next year. i should have given up impatience, too. instead, i gave up cream in my coffee and failed at it.